The former president of Republika Srpska is demanding reconsideration of a decision refusing his appeal against his life sentence. He added that he wanted a decision on the request made by Judge Jean-Claude Antonetti, not by the president of the Mechanism for International Criminal Tribunals, MITC, Judge Carmel Agius, or by the most experienced judge, Theodor Meron. In his motion, he said that Judge Agius, who had refused his request for a review of the judgment early in April, and Judge Meron, were both “biased”. “An honest observer… might conclude that judges Agius and Meron are biased, considering that they made decisions relating to the same crimes which are the subject of Radovan Karadzic’s appeal,” he said in his motion. Karadzic demanded that the decision be made instead by Judge Jean-Claude Antonetti. He previously excluded three judges from the Appeal Chamber in the Ratko Mladic case for the same reasons, while Judge Meron removed himself from the Chamber in the Karadzic case. Both former and present judges of the Mechanism criticized the decision made by judge Antonetti, who chaired the Chamber which acquitted nationalist Serbian politician Vojislav Seselj of charges under a first instance verdict. Seselj was pronounced guilty in the final instance verdict in April 2018 and sentenced to 10 years for wartime crimes in Serbia, though he did not go to prison as he had already spent more than 10 years in custody. In December last year, Judge Meron told BIRN that he could have made “a fair and just verdict”. Karadzic’s motion addressed to judge Antonetti was sent to the Office of the Registrar of the Mechanism. The Office did not act on this motion, but it sent a letter to president Agius, indicating it could not refer this document for a ruling without his decision. Attorney Peter Robinson, who represents Karadzic, told BIRN that the Office of the Registrar was “refusing to act on the motion”. “They are refusing to submit our motion, because the establishment of the Mechanism wants Radovan Karadzic case not to get into the hands of judge Antonetti,” Robinson said. 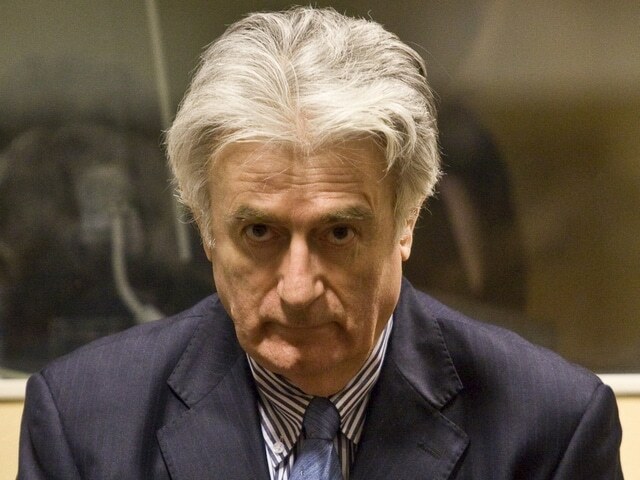 On March 20, the MICT sentenced Karadzic to life in prison for the 1995 genocide of Bosniaks from Srebrenica, for terrorising the civilian population of Sarajevo with a long-running campaign of shelling and sniper attacks, for the persecution and extermination of Bosniaks and Croats in 20 municipalities across the country, and for taking UN peacekeepers hostage. However, it also upheld his first instance acquittal for committing genocide in seven other Bosnian municipalities in 1992.